Useful links | Ici on parle français! This is a list of websites I tend to visit frequently for ideas and fun activities. This website offers a host of grammar explanations, on-line activities and games, ideas for writing activities, ideas for speaking activities…the sky is the limit! I use these activities frequently with the Smartboard and I put some activities on to my Moodle. When students ask for extra practice, I just refer them to this site. I’m sure many of you have already visited this site, but I have to list it because it is truly amazing. There are grammar explanations for everything and if you have a question, the forum is great. There are people from all over the world willing to answer your question. This site has videos that can be viewed on-line with the worksheets already prepared! My personal favourite is Ça bouge en France. Here you can find very clear, printable explanations for many verb tenses and grammatical structures. If you look on the left, you will also find links to printable exercises, on-line games and other useful teaching tools. This is an extremely thorough on-line dictionary. I always encourage my students to go to this site when they need help with vocabulary. It has many examples, expressions and even a forum where you can ask questions about words and expressions. It has many languages, so it is useful for international language teachers as well. 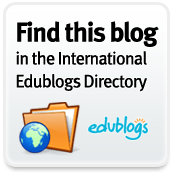 If you are looking for some interesting listening activities, this site offers a variety of podcasts that are very clear and easy to understand, along with accompanying worksheets. There are a variety of topics to choose from, such as grammar exercises, verb conjugations, cultural topics, vocabulary and dictées. This site has some great grammar and vocabulary activities on-line for students. This site has many resources and organized according to level, from beginners to advanced (B1/B2). This site offers help to parents of French Immersion students. There are useful vocabulary pages and instructional strategies to support learning at home for reading, writing and math. A site that provides practical tips and ideas for teaching authentic communication in the TL. The left panel also has resources, ideas for lesson planning, assessment and teaching goals. 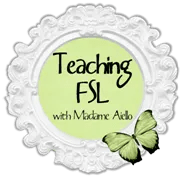 This FSL blog is written by a primary/junior French teacher. Mlle Nicolaes has some really great ideas. Check it out! A really useful site with authentic conversations in French. It’s a good one! Pingback: “The Essentials of Language Teaching” by the NCLRC | Ici on parle français!